Prof. Andrew Chi-fai Chan is the Director of EMBA Programme in The Chinese University of Hong Kong (CUHK). On 1 July 2010, Prof. Chan took up the headship of Shaw College, CUHK. Prof. Chan excels in teaching and was awarded the Vice-Chancellor’s Exemplary Teaching Award in 2001 and 2009. 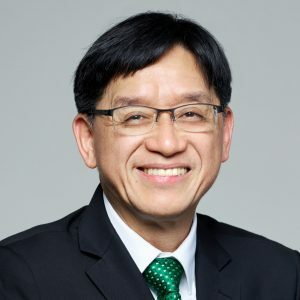 Prof. Chan has been active in participating in public service. From 1999 to 2005, he was Chairman of the Hong Kong Consumer Council while from 2004 to 2010, he was Chairman of the Hong Kong Deposit Protection Board; he was also a Member of the Electoral Affairs Commission (2005 to 2012) and Chairman of Chinese Medicine Council (2011 to 2017). Currently, he is Chairman of Cantonese Opera Advisory Committee. In addition, he is a Member of Social Enterprise Advisory Committee, Cantonese Opera Development Fund Advisory Committee, and Task Force for Review on Enhancement of Lump Sum Grant Subvention System. Besides, he is the Adviser of the Quality Tourism Services Association (QTSA). In recognition of his distinguished public and community service, he was appointed as a Justice of the Peace in 2005 by the Hong Kong SAR Government and was awarded the Silver Bauhinia Star in 2007. Andrew Chi-fai Chan and Kwun-tung Tse (2009), 逆境求變–金融海嘯攻防略. Andrew Chi-fai Chan and Kwun-tung Tse (2009), 與CEO對話：英雄造時勢. Andrew Chi-fai Chan and Y. S. Tang (2008), 成功領袖：心連心對話. Andrew Chi-fai Chan, Henry Tso, Shirley Leung, Emmeline Mok, and Kwun-tung Tse (2008), Hong Kong’s Unique Role in PRC’s Strategic Development. Andrew Chi-fai Chan and Shirley Leung (2008), Knights in Shining Armours – Our Hong Kong CEOs. Ho-fuk Lau, Sebastian Green, and Andrew Chi-fai Chan (2005), “Choice of Location and Quota Restriction: The Internationalisation of Hong Kong Firms,” Journal of Global Marketing, 19(1), 49-69. Chau-Kiu Cheung and Andrew Chi-fai Chan (2005), “Philosophical Foundations of Eminent Hong Kong Chinese CEO’s Leadership,” Journal of Business Ethics, 60, 47-62. Sandra S. Liu, Charlie C. L. Wang, and Andrew Chi-fai Chan (2004), “Integration of Multiple Sales Channels with Web-Based Technology – A Case of the Pharmaceutical Industry,” Journal of Business-to-Business Marketing, 11(1/2), 131-152. Alan Ching-biu Tse and Andrew Chi-fai Chan (2004), “The Relationship Between Interactive Functions and Website Ranking,” Journal of Advertising Research, 44(4), 369-374. Suk-ching Ho and Andrew Chi-fai Chan (2003), “In Search of a Competition Policy in a Competitive Economy: The Case of Hong Kong,” The Journal of Consumer Affairs, 37(1), 68-85.